All is not well in the personal computing market as worldwide PC sales have remained largely flat, showing little or no growth for close to two years now, according to a Gartner report published on July 11. What’s more disconcerting is that the first wave of ultrabooks (launched late last year) hasn’t had any positive impact on the global PC market. It isn’t rosy at all, because not only has the global PC sales line remained flat in the recent past, it has now started dipping -- an alarming trend. According to Gartner, second quarter PC sales in 2012 stood at 87.5 million units worldwide, which is actually a decline of 0.1 percent compared to the same period in 2011. Is it time to hit the panic button? “In the second quarter of 2012, the PC market suffered through its seventh consecutive quarter of flat to single-digit growth,” said Mikako Kitagawa, principal analyst at Gartner. He blamed an uncertain economic climate across the globe and low consumer interest as key reasons for slow PC shipment growth. According to the tablet below on global PC sales for Q2 2012, HP retained its number one position, while Lenovo’s growth at number two continued to exceed the industry average and taking great strides to cut HP’s lead at the top. ASUS grew the most compared to other PC vendors, its shipments grew by almost 39 per cent in the second quarter of 2012. 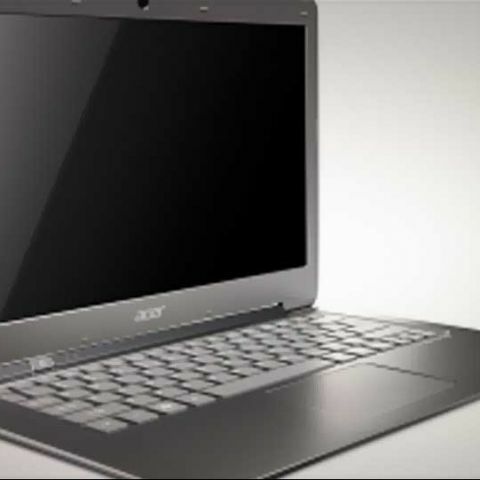 Acer’s shipments also grew compared to its performance in the same period last year. Dell didn’t have a great quarter as its PC sales figures actually fell in the same period. Tablets are killing PC sales? The Gartner analyst, Ms. Mikako Kitagawa was quick to point towards one of the biggest reasons for flagging PC sales around the world, especially in the mature markets: the rapid adoption of faster smartphones and better media tablets. While the ultrabook category hasn’t had the desired effect on kickstarting global PC sales, Ms. Kitagawa was to quick point that the ultrabook story is still in its infancy and we haven’t seen much yet. “A big portion of R&D spending has been allocated to Ultrabook development, together with Intel’s massive investments to establish the market segment. Though Ultrabook was at first introduced in the market in 2011, the major promotion kicked off toward the end of 2Q12 with the IvyBridge, based Ultrabook release. This segment is still in an early adopter’s stage,” said Ms. Kitagawa. Are consumers really moving away from traditional PCs and laptops as a computing device? Let us know your thoughts in the comments section below or join us on our Facebook and Twitter pages.